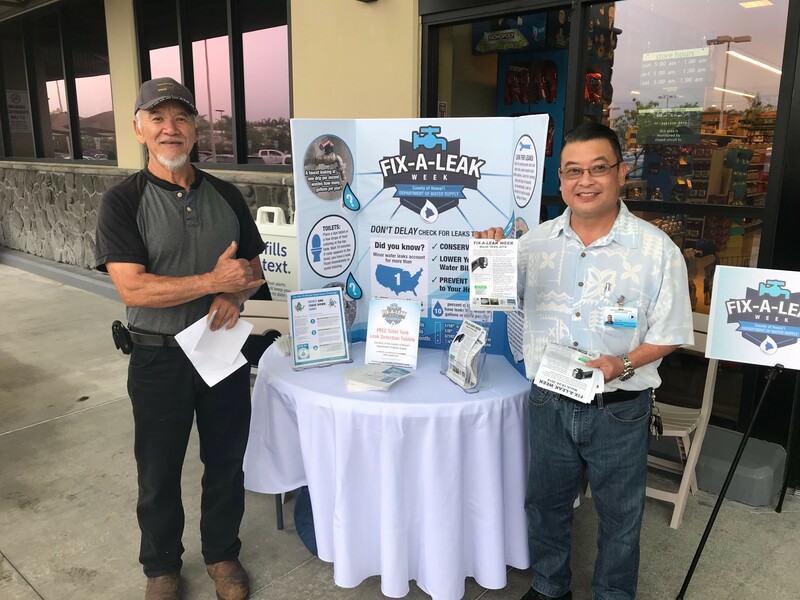 The Department of Water Supply hosted an educational booth at Safeway in Hilo on March 21, 2018 from 2-6pm. The public received free toilet tank leak detection tablets and water conservation information. Leak detection tablets were also distributed throughout the week at all DWS offices islandwide.